The FIT 22 Food Intolerance Test employs unique methods that detect both IgG antibodies and complement antigen together to determine the reactivity of each sample against a food antigens. 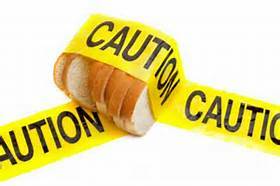 The methods yield more complete profiles of the various foods that may cause food sensitivities. This test evaluates 21 of the most common food sensitivities along with Candida to give information about leaky gut, using IgG and Immune Complexes .The test is run using a blood sample obtained from a finger prick. The test requires one blood spot at a minimum, but more are preferred. Gluten ,Whole Wheat , Egg White ,Egg Yolk, Cow’s Milk, Casein, ,Brewer’s Yeast, Banana, Beef, Broccoli, Coffee, Corn, Chicken, Peanut, Tomato, White Potato, Almonds, Pineapple, Salmon, Shrimp, and Turmeric.